Guild Associates: Reactive and adsorbent media for molecular filtration. Guild Associates' experience with designing both sorbent materials and systems that use sorbent materials has enabled Guild's scientists and engineers to have a unique perspective on materials and systems. Because we develop both materials and systems, we have insight into how the materials and systems interact, down to the molecular level. 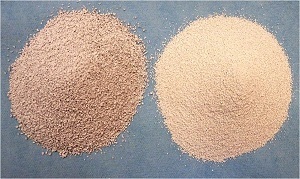 One breakthrough that has resulted from this unique perspective is a unique non-carbon filtration media that out-performs standard ASZM-TEDA, with significant performance improvement under high humidity conditions. Military-grade versions of this media are currently under test in respirator filters by the Department of Defense. Non-military grade versions of this media have been independently tested and confirmed to out-perform carbon media for sulfur dioxide test gas, and is being considered for applications concerning human waste. 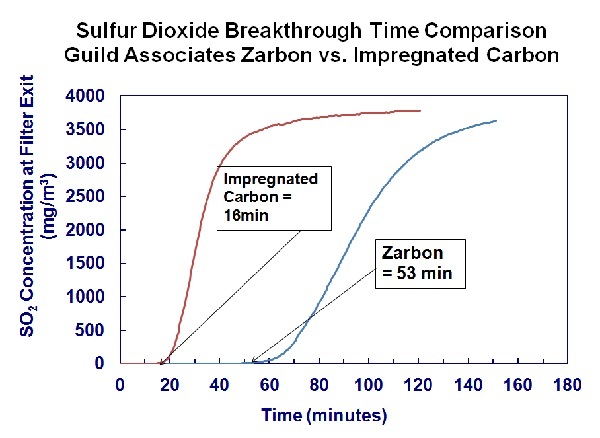 One significant advantage of this new filtration media is its performance for de-adsorption as compared to activated carbon. While activated carbon is known for its adsorption properties to filter unwanted odors, under common conditions such as higher humidity and temperature carbon can release those odors. By contrast, this new filtration material tightly contains these odors through a stronger molecular interaction. The result is a filter material that does not release its entrapped odors. Another significant advantage is its color, a pleasant off-white shade, as compared to dark black for activated carbon, which can enable the material to be applicable to a wide range of consumer goods. Guild's scientists are recognized experts in the field of molecular filtration, and have authored numerous paper and made presentations at industry trade shows. Listed below is a sampling of the peer-reviewed papers, presentations, and patents that exist for Guild in this field. Whatever your application, Guild is interested in talking to you about how this filtration media can result in a competitive edge in your industry. Contact us for a discussion on your application. 2010 Peterson, G.W. ; Karwacki, C.K. ; Rossin, J.A. and Feaver, W.B. ; Process for Removing Epoxides. U.S. Patent 7,713,334 (2010). 2010 Feaver, W.B. and Rossin, J.A. ; Material and Process for the Removal of Nitric Acid and NO2 from Streams of Air. U.S. Patent #7,678,182 (2010).